Unlocator is an innovative technical solution coming from Linkwork ApS, an excellent IT company based in Copenhagen, Denmark. It is a DNS service that can help you avoid any geographical restrictions anywhere in the world. In order to learn more about this top-notch DNS service, check out our informative Unlocator review. Unlocator isn’t the simplest online protection on the market, to be honest. The installation process takes a couple of minutes, but luckily for everyone who isn’t tech-savvy, Unlocator provides detailed installation instruction for every operating system it can work with. Once you install Unlocator on your device, you’ll gain access to the simple client. The client itself looks like a good old Windows program with a calming combination of blue and gray. It’s pretty easy to use, as all the features and options are easy to find. Just keep in mind that you’ll need your API key in order to get the app working. After copying the API key to the client, you can choose the website you want to access, the region from which you want to connect to, and how often you want your IP address changed. 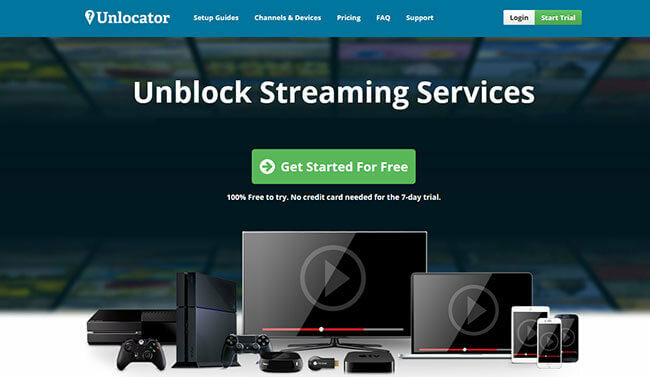 Unlocator keeps you anonymous online and enables you to stream any show, movie or video you want. It masks your real IP address by covering it with one of its IP addresses. Unlocator operates numerous servers located all over the globe, which makes it easy to find an IP address that can provide you access to the desired website. Since its main purpose is to allow you to stream your favorite shows effortlessly, Unlocator does its best to provide the greatest speed possible. Therefore, it doesn’t burden your connection with unnecessary features like most VPN service providers do. Unlocator is focused on changing your IP address and does it silently in the back while you open various websites hassle-free. While we were performing a trial run for our Unlocator review, we didn’t notice any DNS leakage thanks to additional protection from DNS hijacking. In general, the overall performance was more than good. Unlocator is compatible with almost any device that can connect to the Internet. Not only does it work on Windows, Mac, Android, iOS, and Ubuntu devices but also on SmartTVs, gaming consoles, media players, and routers. Unlocator lets you bypass geo-blocks and access restricted websites and content no matter where you are. The best part is that Unlocator allows you to use it on as many devices as you want at the same time. A single subscription can cover all of your devices, as long as you use them from the same location. Unlocator’s biggest advantage is its extraordinary compatibility. It can protect every major platform, but its coverage range doesn’t end there. Unlocator also works on numerous devices other DNS and VPN services don’t typically cover in their offers. You can install Unlocator on any computer, tablet or smartphone but also on Kindle, PS3, PS4, Wii, Xbox, PS Vita, and many other gaming consoles. If you’re a passionate TV lover, you’ll be happy to find out that Unlocator can help you stream your favorite shows on SmartTVs such as Panasonic, Philips, LG, Samsung, Sony, Sharp, and Toshiba, as well as on GoogleTV. Moreover, it works on media players such as Nexus, Roku, Boxee, Chromecast, Apple TV, etc. If you want to cover all of your devices at the same time, you can install Unlocator on your router and make sure every device that connects to your Wi-Fi network is protected. In addition to great compatibility, Unlocator also gives you an opportunity to appear on several IP addresses at the same time and confuse prying eyes even more. Thanks to the number of servers it offers, you can appear to be from New Zealand, India or Brazil – or all of them simultaneously. Unlocator DNS servers can be found on all continents, except Antarctica. You can choose to connect to a server in Argentina, South Africa, Saudi Arabia, Belgium, South Korea, Australia or any other of the 20+ world countries. Unlocator doesn’t only mask your IP address, it also changes masked IP addresses frequently. You can choose how often you want your IP address to be changed. Unlocator can automatically switch between servers every 15, 30, 60, 90, 120, 180, 240, 300 or 360 minutes. There’s also an option to change the IP address manually whenever you want. Unlocator is designed to work on Wi-Fi networks, but it doesn’t mean that you can’t activate it when you’re using mobile Internet. In this case, you just need to use Smart VPN. When you change the settings on the Unlocator client, you can keep surfing the Internet freely on your mobile device. Furthermore, Unlocator protects your online privacy with its strict no logs policy. In other words, it doesn’t keep any traces of your online activities whatsoever. Finally, Unlocator keeps your personal information safe even when you make payments. 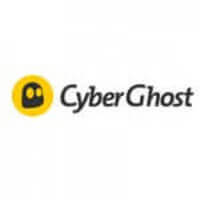 It accepts BitCoin, Sofort, and iDeal, which all work as mediators and don’t provide the merchant with your personal info or bank card number. Unlocator offers an excellent Support section on its website, which can be easily browsed thanks to a convenient search box on the top of the page. There’s also a separate section providing installation guides for all platforms. In case you have a common question about Unlocator, supported devices or payment methods, you can check out the informative FAQ section. On the other hand, if you can’t find the information you need on the website, you can email customer support by filling out a form on the Unlocator website. Unlocator offers 3 paid plans and a free trial version. The free trial gives you an opportunity to use the app without limitations for one week and decide whether you want to upgrade to one of the paid plans. If you opt for a paid plan, you can choose between the monthly, the 6-month, and the annual subscription. 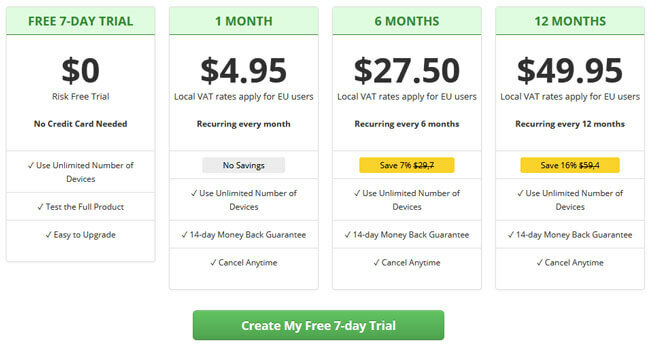 All subscriptions offer the same benefits, which include access to all Unlocator servers, Smart VPN, unlimited number of covered devices, etc. The monthly subscription is $4.95, the 6-month plan costs $27.50, and the annual subscription costs $49.95. There’s a 14-day money back guarantee in case you’re not satisfied with the service provided. At the end of this Unlocator review, here’s a quick overview of the features that wowed us and the aspects of the service that could use some improvement. Our ratings are the result of an objective and independent evaluation of Unlocator, generating the final rating that reflects the overall quality of the company. Ratings may change as the service changes. Unlocator user rating based on 7 user reviews. Unlocator works great on all my devices. I’ve installed it on my router and now the whole family watches whatever whenever they want. So cool when I want to stream Champions League, European sites are always better for this than those from the US. But it does need some design improvement. It works fine, that’s not the problem, but before I called my bf to help me install it it was a nightmare! So confusing, pls do something about it! We found 2 verified Unlocator discounts for April, 2019. Save 16% on a 1 year plan! Save 7% on a 6 month plan! Sign up and we’ll let you know about future Unlocator promo codes. Discover the full range of possibilities Unlocator offers and become an advanced user in no time with our beginner-friendly Unlocator guides. Whether you are interested in secure torrenting, unblocking Netflix, setting up Unlocator on all your devices or you simply want to learn more about Unlocator, you can find verified information and clear instructions in our Unlocator guides below. Does Unlocator Work With Netflix? - testing the platform’s ability to bypass Netflix’s proxy detection.